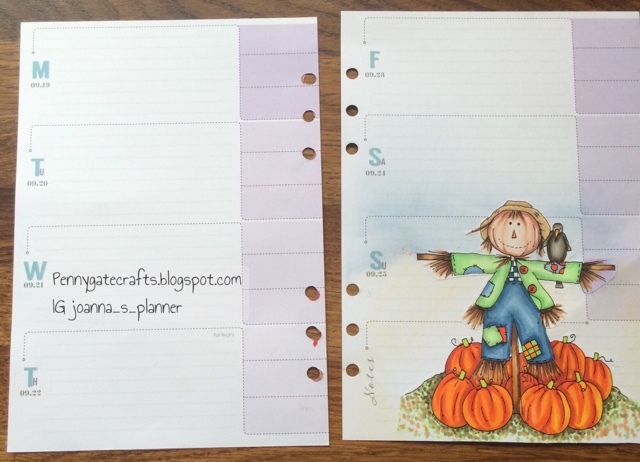 Decorative Planner Stamping - Autumn or Fall? 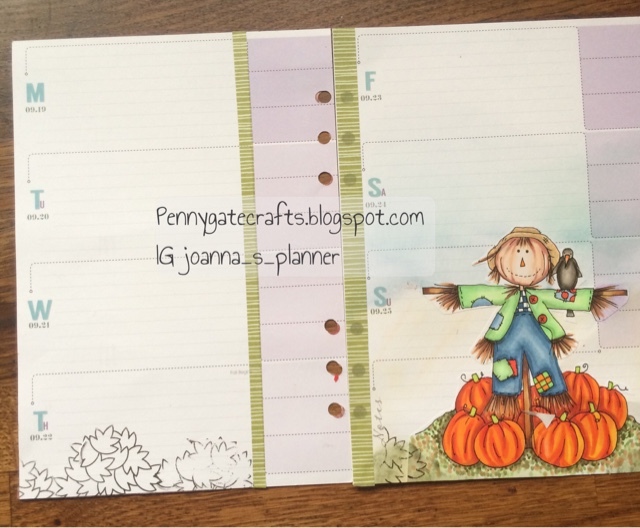 Planner Stamping - Jo Whight - Autumn or Fall? 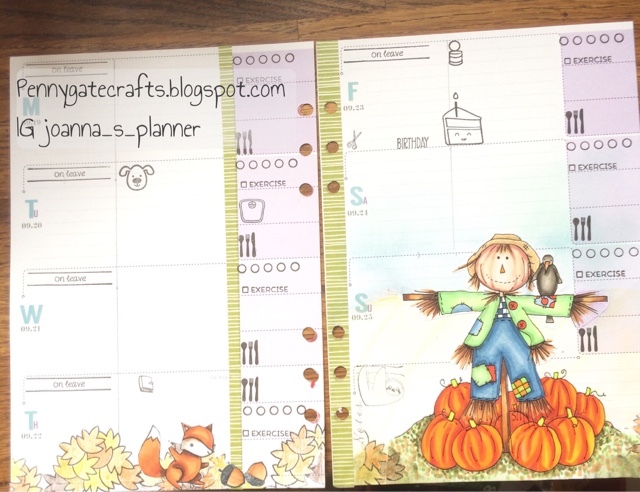 On Friday the weather finally broke and I was able to spend some time on the planner and I am finally moving to an Autumn theme. I have just realised though that there will not be many Autumn weeks if I do a whole month to celebrate Halloween. 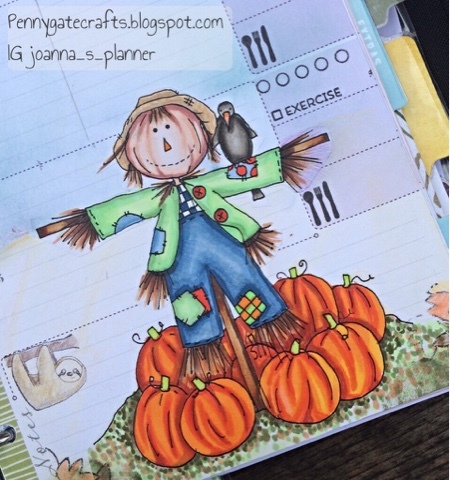 So, I started with a scarecrow theme as it seemed somehow appropriate and added to the image with the new Lawn Fawn stamp set 'jump for joy'. The scarecrow was coloured with alcohol markers on sticker paper and fussy cut. Functional planner stamps this week are mostly from a Tiny Stamps Big Plans, Technique Tuesday, Studio L2e and Sweet Stamp Shop. There isn't a great deal of planning going on as the more eagle eyed amongst you will notice I am on annual leave this week, so will be more focused on journaling than planning. 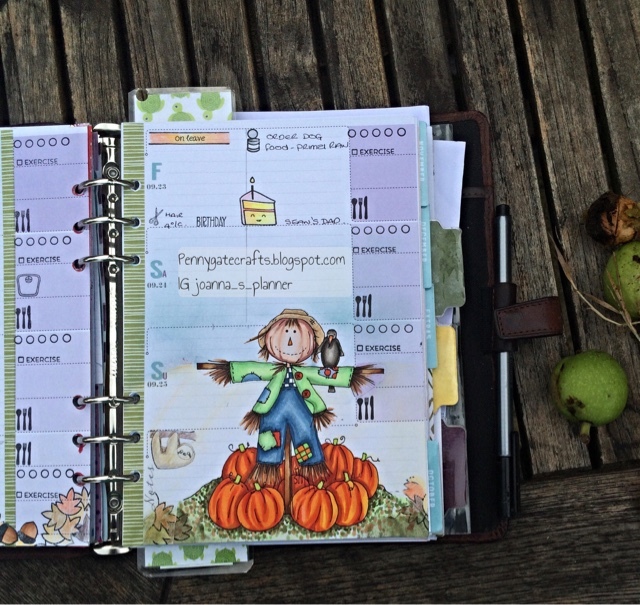 I am hoping to have a bit of time to give my whole planner an overhaul with a seasonal update.